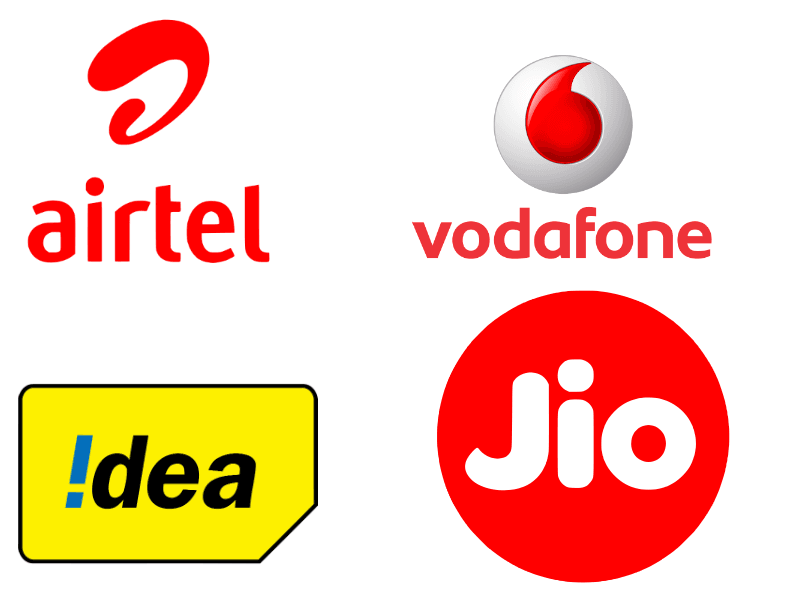 Even with the dawn of 2018, telecom operators such as Reliance Jio, Bharti Airtel, and Vodafone India are aggressively introducing prepaid and postpaid recharge offers to retain their subscriber base, which is in-line with the aggressive approach we expected from operators this year. Jio and Airtel have specifically revamped many of their existing plans to offer more unlimited calling and data benefits. The question, however, for many subscribers is whether to go with postpaid or a prepaid connection. Reliance Jio starting plan at Rs 149 offers Unlimited calling and as well 28 GB of high-speed 4G data for a period of 28 days. The calling includes local, STD and roaming voice benefits while data is restricted to 1 GB of daily usage. The recharge plan also bundles 100 SMSes per day and you get access to a host of Jio apps. This is one of the cheapest prepaid plans for Jio customers, with a month-long validity and the price is inclusive of taxes. Another best offer for Jio prepaid users is Rs 198 recharge pack. Jio’s plan offers 42 GB of 4G data for a period of 28 days, with a daily cap of 1.5GB data. Unlimited local, STD, roaming voice call benefits and 100 texts per day are available with this prepaid recharge plan. Then again you get access to Jio apps. Similar to Jio, Airtel’s prepaid recharge plans are also way more economical than postpaid plans. Airtel is now offering 1GB of daily data usage at mere Rs 199 for a period of 28 days. Unlimited local and STD calls along with outgoing roaming and 100 SMS per day are free with this Airtel plan. Airtel is offering 2GB data per day, along with 100 SMS per day at Rs 349. Local, STD and roaming calls are also unlimited in this prepaid recharge plan. The validity of the plan is for 28 days. So basically when it comes to prepaid plans, users are getting unlimited data and calling benefits at prices under Rs 500. The postpaid users, however, are charged more for similar services, and as with taxes excluded out of plans, they end up paying far more than prepaid customers. But the highlight of choosing postpaid plans from Airtel, Idea Cellular, and Vodafone India is the data rollover scheme. Yes, you can carry forward your data from current to next month and can accumulate a data of up to 500GB. Another reason to opt for a postpaid plan is the digital content perks. Bharti Airtel is offering free Amazon Prime subscription with the Rs 499 plan or above, while Vodafone is giving free Netflix subscription with the RED 1299 postpaid plan and above. Which connection will you prefer right now- Prepaid or Postpaid? Let us know by commenting below. Which is the best sim for secondary usage. I use JIO as my primary number. So which is best secondary number? Airtel,without a doubt!!!!! But if you have great BSNL 3G at your place then BSNL!!!!! BSNL has best 2G coverage. But 3G speed will be less because most of the towers are only H based. Not H+. Airtel 3G has good coverage in Tamilnadu and Chennai at more than 95% places. 3G speed is better than BSNL. BSNL if call priority for secondary sim since Jio 4G data is decent everywhere but calls fumbles sometimes like any other operator out there. Pop up of balance after every call is irritating in prepaid.Also operators are ready to lower the rental if customer threaten to leave.So postpaid is better and royal choice..
You don’t get after call balance pop up in prepaid in a pure LTE operator like Jio since it doesn’t support USSD. Also queuing of recharges prevents the hassle of remembering plan expiry dates just like postpaid. Also if you are going out of country for a month, you can simply not recharge prepaid and save that month’s spending, in postpaid you will get a bill irrespective. Use landline if you are feling everything as irritating. + 00 |. Lol, unlimited plans on prepaid dont show pop ups. We need postpaid users its because of them 99% prepaid users get value for money deals. Great job postpaid users. use Jio no pop ups ever you get.